Scheduled to follow on from our other highlight of the day – SINK or SWIM on June 8th we have the official opening of the Love Seat at 1.30pm. 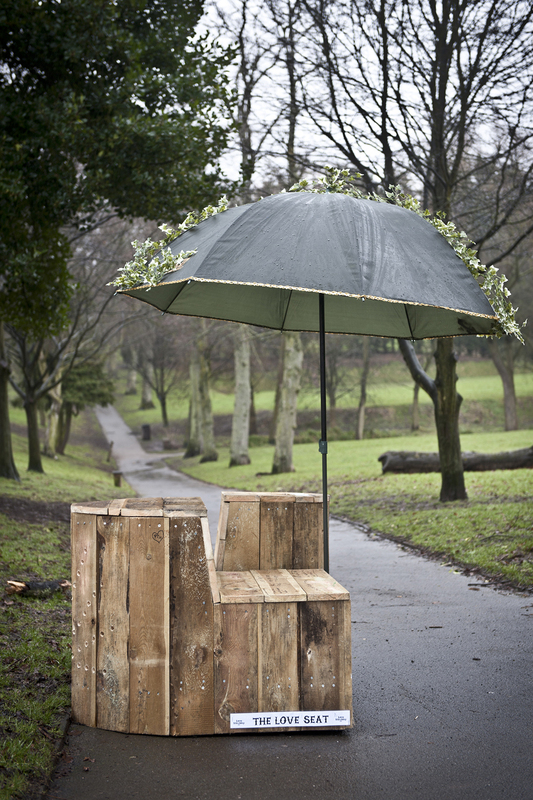 The Love Seat is located near the bournbrook in a corner of the park. We’d be glad to see you all there. 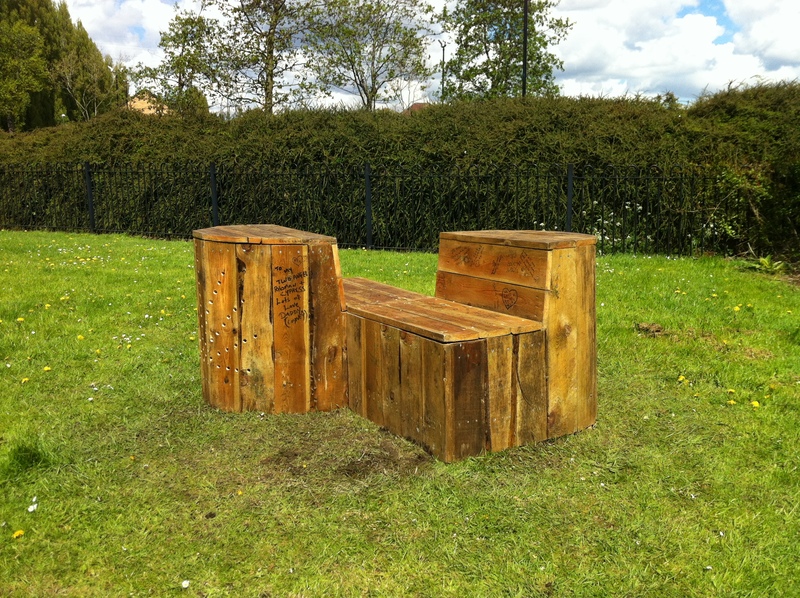 We are very proud to announce the Love Seat has been installed in Stirchley Park today. 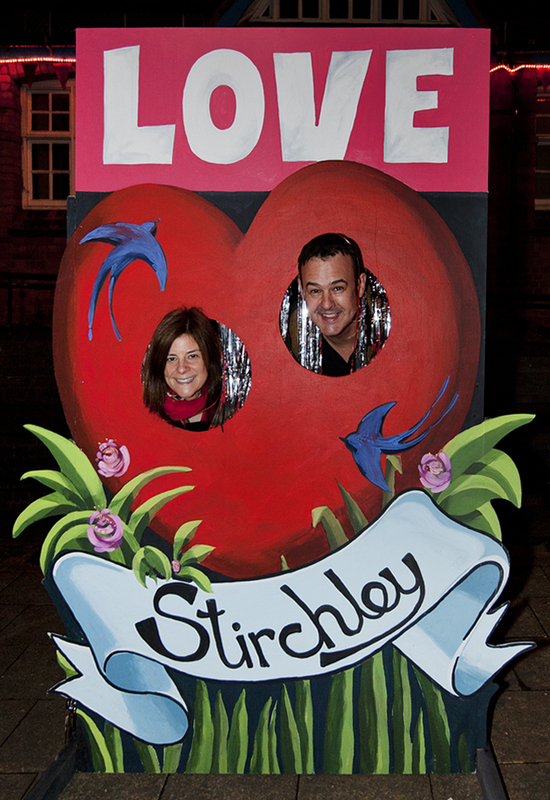 The Love Seat was commissioned for Love Stirchley More by Place Prospectors back in February 2013 and many festival goers and residents wrote their love messages or thoughts on love onto the seat. We hope many more messages may appear on it in the future. 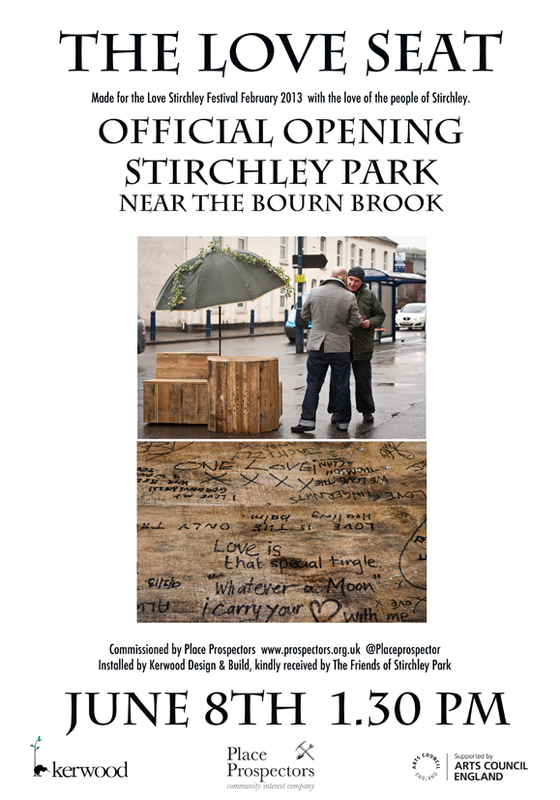 We’d like to thank The Friends of Stirchley Park, Birmingham City Council and Kerwood Design and Build who have installed the seat for free. Also Travis Perkins for supplying the cement. 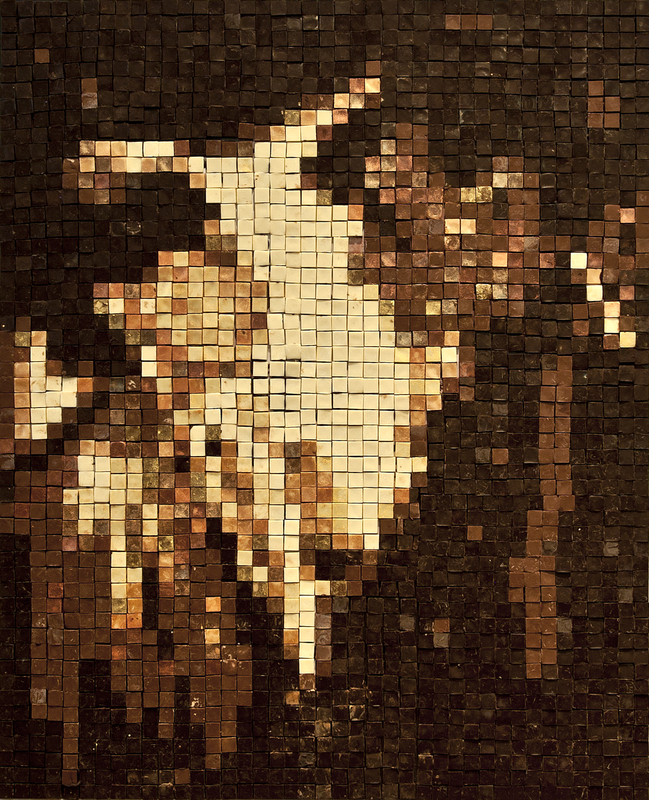 Sink or Swim is an artwork which responds to the pivotal point that the Baths building is at. Will it sink, will it swim? Will it fail or will it succeed? 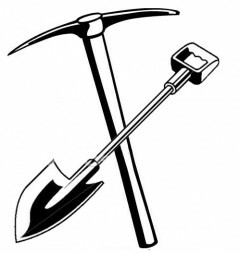 ‘Sink’ will be there at the start, with peoples involvement it will turn into ‘Swim’. A failure will become a success. The change will happen if people come along on the 8th of June. SInk or Swim uses balloons as a light hearted way to turn sink into swim. 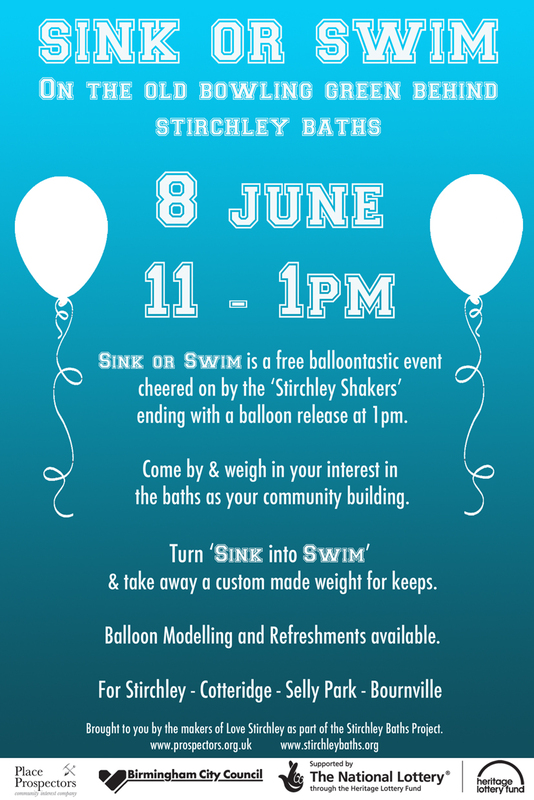 As well as the artwork there will be free balloon modelling and refreshments on sale by Stirchley Toddlers. The balloons can be taken away by participants after the event if they do not wish to release them. 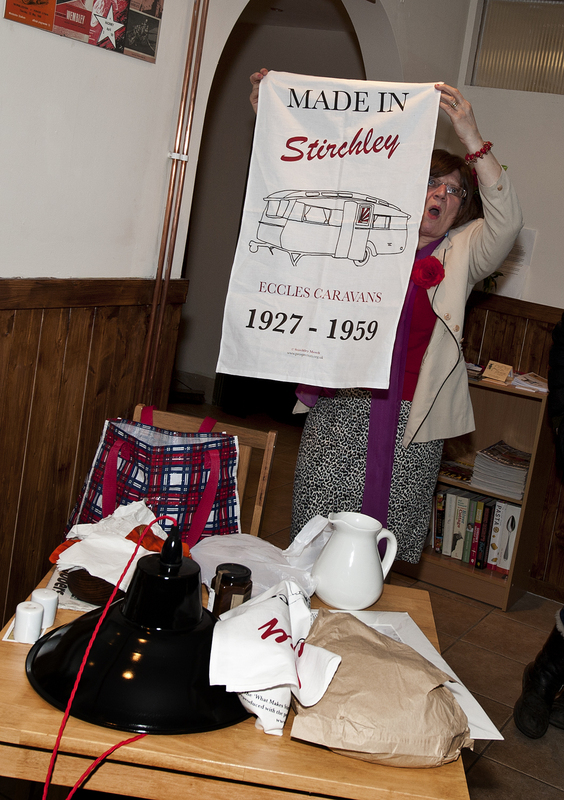 Look out for the Stirchley Shakers…. It’s sink or swim time for Stirchley baths as a second round heritage lottery fund bid is soon to be submitted by Birmingham City Council. The flourishing of the building relies not only on funding to repair the derelict baths building, but also on people to use it. 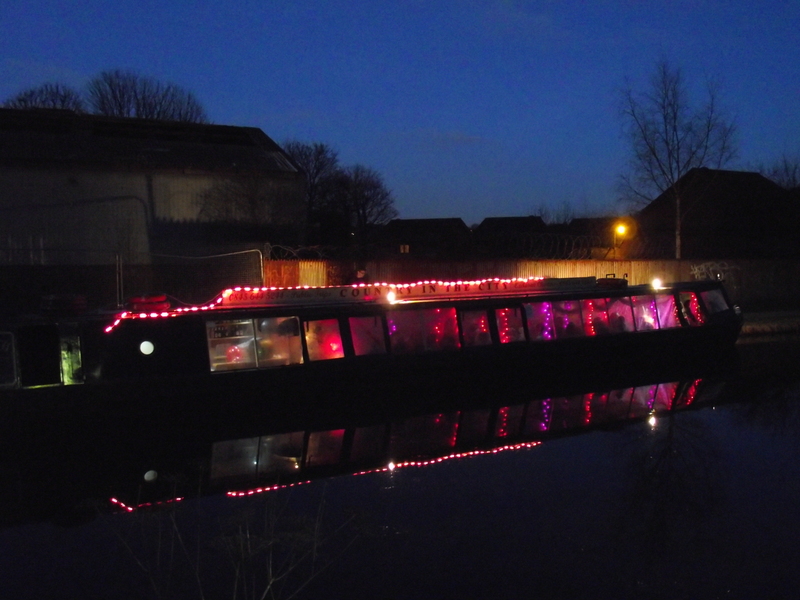 We will be creating a balloontastic experience on the bowling green behind the derelict Stirchley Baths building where anyone can help turn sink into swim and help make this building a success. 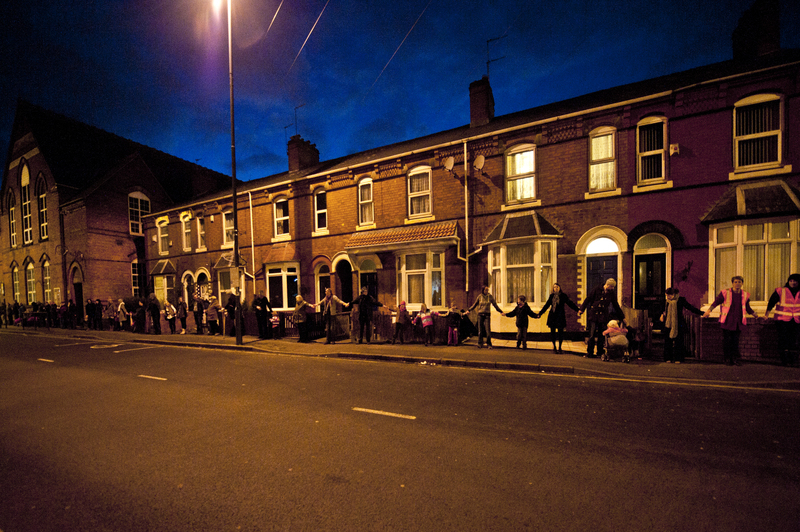 Join us on 8 June 11 – 1 for a unique Stirchley experience. 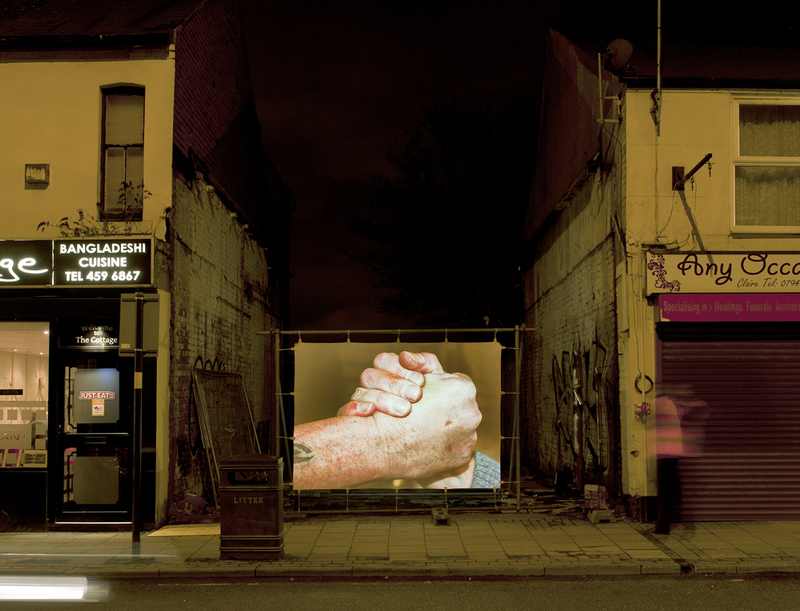 Hand holding around Stirchley’s historic gyratory – how many did it take to make it into the Stirchley Book of records? 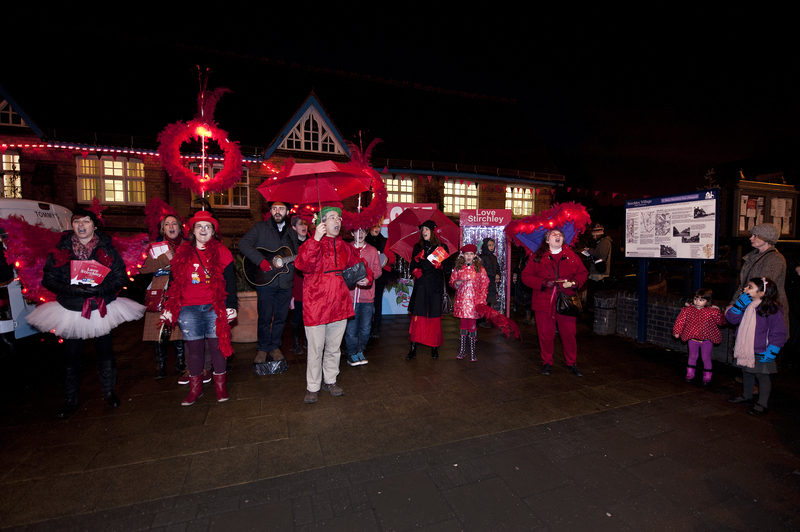 An accapella version of ‘What’s Love Got to do with it’, directed by Clare Fray with local residents. 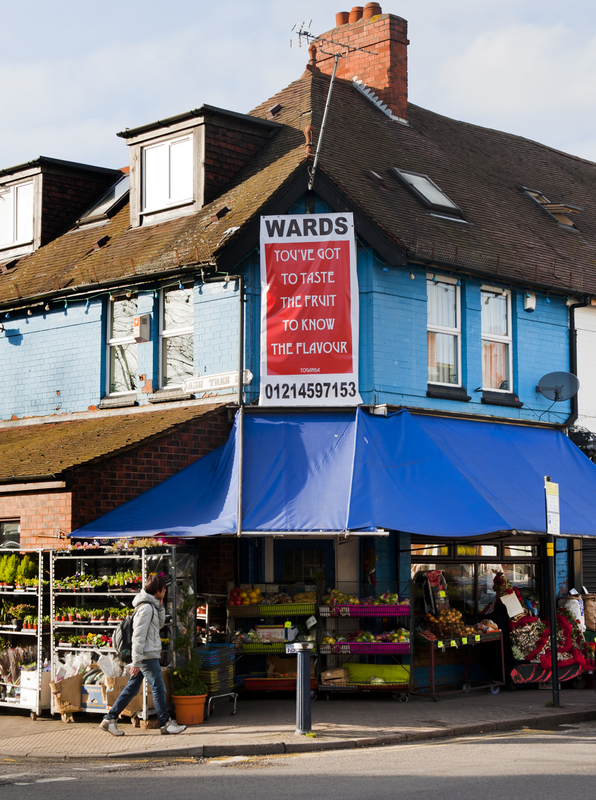 ‘Brief Encounter in chocolate’ by Lizzy Bean at Stirchley Expresso A saying by Yoganda, installed at Wards Green grocers ‘Whatever a moon’ by Metaphysique – Pierette wanders the streets of Stirchley looking for the love of her life. ‘Feed the need’ – tattoo designed by Jayne Murray with Skinnys Ink. 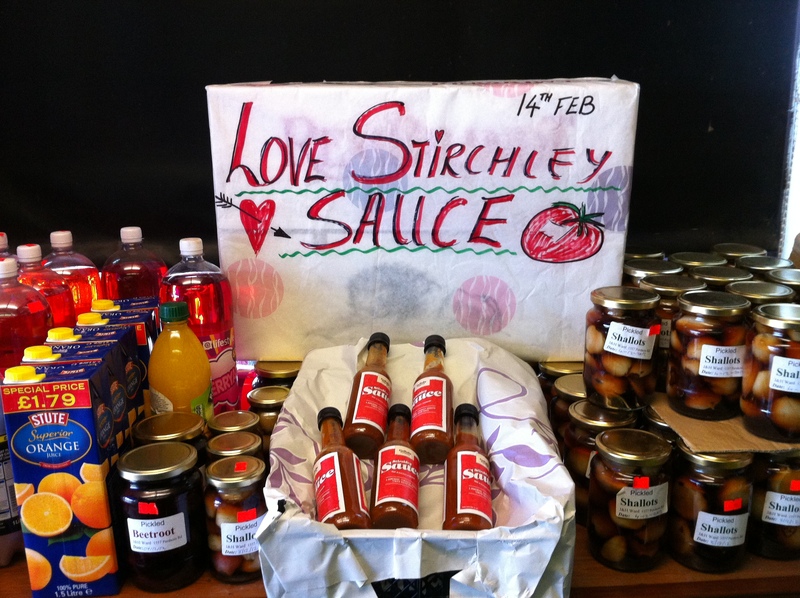 Some specially commissioned Stirchley Sauce in partnership with Cuffufle The Love Boat – The Laughing Sole and Barbara Nice took people on a journey of love on our Love Boat from train station to canal basin with comedy raffle to end. 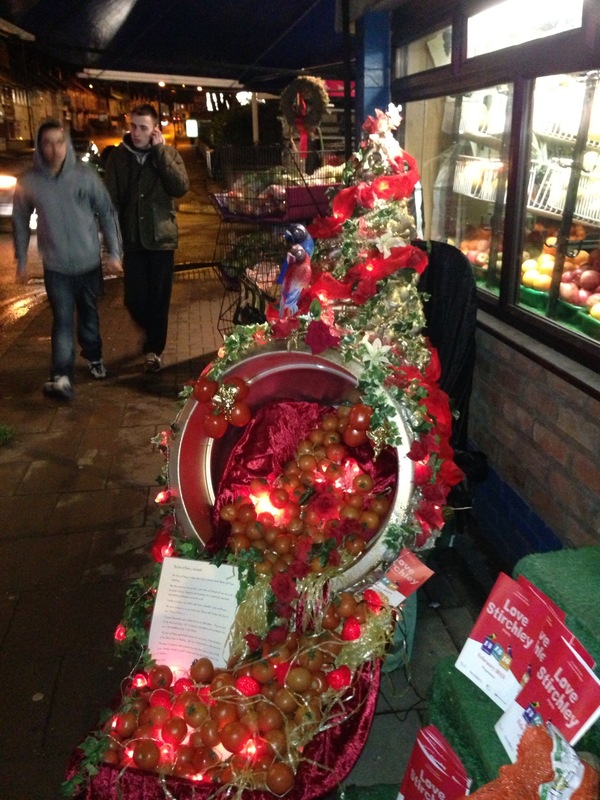 The Horn of Plenty by Garry Jones – supplying the fruit of love (the tomato) freely to the people of Stirchley. 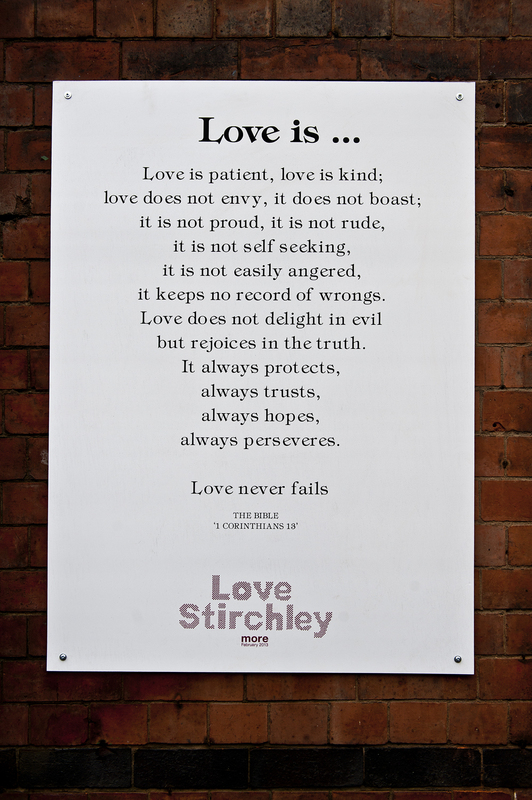 Love is… a collaboration with Stirchley Community Church and Jayne Murray The Love Seat by Jayne Murray on tour in local parks.